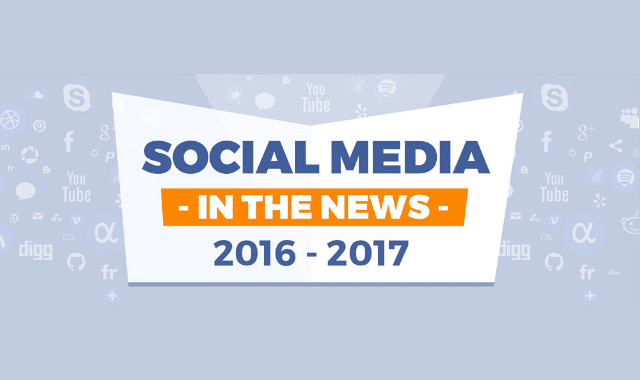 Social Media in the News 2016 – 2017 #Infographic ~ Visualistan '+g+"
The release of Snapchat’s Spectacles, Facebook working on a new TV app, fake news, Pinterest retargeting… It’s been a busy year (and a bit) on social. Our infographic highlights some of the main headlines surrounding social media throughout 2016 and early 2017. What were the most memorable social media moments for you? Please tell us in the comments.